Teachers truly can have a major impact. It’s what prompted Lynne Hendrix, retiring as a professor of accountancy after 29 years at the college, to go into higher education. She found that her best instructors had worked in accounting, so she first went into public accounting herself. She loved it, so much that she nearly stayed in the profession, but a timely (and persistent) invitation from Hope won her over. Professor Hendrix has made a priority of conveying her enthusiasm for the profession, teaching and living into the slogan “Accounting is Fun.” She’s also emphasized providing experience for students, directing an accounting internship program that’s placed them with firms across the country. 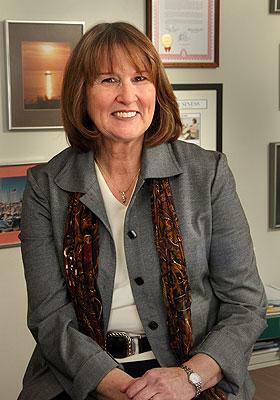 Her career highlights include having worked with colleagues Sylvia Boyd and Herb Martin to expand accounting into a major. Her impact on the Hope community has extended well beyond her department. For the past 24 years, she’s been the college’s female faculty representative to the MIAA and NCAA. It’s been a big commitment, with administrative duties such as serving on committees, calculating team GPAs and nominating individuals for awards and assuring eligibility, but, in true liberal arts fashion, she’s valued what Hope athletics bring to students. She retires ready for other priorities—more involvement in church and community, more time visiting family, sailing on the Great Lakes and other travel—but she also has no regrets about making the change from accounting to Hope. The 2012-13 winter sports season at Hope was highlighted by team successes, individual accomplishments and coaching milestones. The third annual Hope College HOPEYs award ceremony will be held Monday, April 15, beginning at 7 p.m. at DeVos Fieldhouse.